Click Here to start your 14-Day FREE TRIAL! iTeleCenter is a Toll Free Voicemail Answering Service, Virtual PBX, Presentation Hotline, Auto-Attendant, Fax to Email service – all in one unified plan for one flat monthly fee. Since 1992, iTeleCenter has been the leading virtual phone service for entrepreneurs, real estate agents, and the direct sales industry. iTeleCenter is a cloud-based virtual phone system that requires no new phone lines or VoIP, and no software to buy or gadgets to use. It’s a month-to-month service with no long term contracts that provides real business-class phone service for half the price of a new land or mobile phone line. iTeleCenter is the perfect solution for small and home-based business professionals who desire a dedicated phone number to publish and promote on and offline. iTeleCenter local and toll free numbers provide entrepreneurs with instant credibility as well as professional business-class features, including auto-attendant, call screening, advanced voicemail and more. Most importantly, iTeleCenter allows anyone to do business over any land or mobile phone, accepting inbound calls as well as placing outbound calls. This maintains total privacy and anonymity of home and mobile numbers. This Voicemail Plan includes 30+ features. Listed below are just the Top 10! 1. Receive 10 extensions without physical boundaries. Dedicate a separate extension to each employee and department. Record up to a 10 minute outbound greeting or presentation on each of the included 10 extensions. If you do not require 10 extensions, simply use as many as you need. 2. Your toll free number is accessible to all your callers within the US & Canada. No dedicated line required and rings on your existing phone line. 3. Your callers will never hear a busy signal! For example, a 1,000 callers could call your assigned toll free number at the same instant. Unlimited calls handled. 4. Record 10 minute long outbound presentation capability included. 24/7 prospecting and lead generation with this option. Additional length available for extra fee. 5. Captures ALL caller ID. Even if the number is blocked. 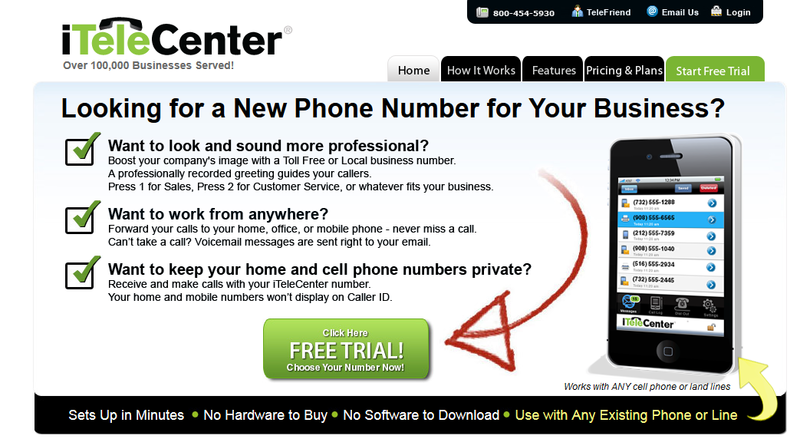 View all caller ID in your included Web Center, 24/7. 6. Enhanced business image in North America at minimum cost. Your callers located in the U.S. and Canada or the U.S. territories will be able to call your Toll Free number at no cost to them. 7. No numeric limit on messages in voicemail box. • It’s Free to retrieve your messages by phone or on Web. 8. Free call alert by phone, pager, SMS or Email. Download messages from yourWeb Center. 9. The service is month-to-month, no long term contract. 10. If you ever need more than 10 extensions, you can add additional extensions in increments of 5. You can add up to 999 total extensions, if required. The cost is a flat $34.95 per month including all 30+ features. For this low monthly fee, have your customers call you as many times as they want — your inbound calls are unlimited and included in the flat monthly fee of $34.95. I’m a believer! I’m astounded how great your rates are. The rates really are as low as the web site said they would be. Thanks for helping cut my costs calling family in Spain.